For those who joined us at Tales From the Dugout on Tuesday evening, March 15 at WestWorld of Scottsdale, you experienced one of the best Dugout events in our history. For the first time ever, we had a World Series Champion team general manager, an accomplished infielder who had just signed with the Chicago Cubs after playing in the 2015 WCS with the Kansas City Royals, plus an emerging infield star with our local Arizona Diamondbacks. Breaking with our tradition of players and former players on stage, and even an umpire last year, this year we were blessed with the presence of a player’s wife. Telling stories about her life as a wife, mother and top Christian singer was a powerful testament to the ability to not only multi-task, but to be so centered in and passionate about her commitment to her family and to her faith. We were thankful that ESPN’s Sunday Night Baseball analyt, and former major leaguer from a dynastic baseball family, wonderfully emceed 2016 Tales From the Dugout. Dayton Moore, General Manager, Kansas City Royals. In 2015, the Royals won the World Series, and Dayton, a lifelong fan of the Royals, was selected as the Esurance MLB Best Executive of the Year! Ben Zobrist, Second Baseman, Chicago Cubs. Previously, he was with the 2015 World Champion Kansas City Royals before joining the Cubs in the off-season. Julianna Zobrist, Ben’s wife. She is an accomplished singer, mother and co-author of a book with Ben called Double Play – Faith and Family First. Nick Ahmed, Shortstop with the hometown favorite Arizona Diamondbacks. Aaron Boone, Baseball Analyst for ESPN, and former MLB player. Aaron is one of our favorites, and he has participated in past Tales From the Dugout events. For those who missed this year’s Tales From the Dugout, or for those who were there and want to enjoy it again, we’re making the complete video available. Just click on the Play button below, sit back and enjoy hearing stories about baseball and life. We’ve recently purchased the books written by Dayton Moore and by Juliana and Ben Zobrist. We highly recommend both books as they are well-written, informative and inspirational. Check your local library or favorite online book seller. For your convenience, we’ve linked to each book on Amazon.com. Just click on each book’s cover to read more about the book or to buy a copy. 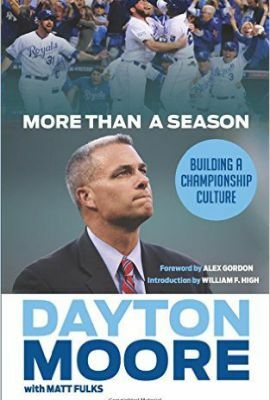 In More Than a Season, Dayton Moore shares how his faith and leadership principles guided his rebooting of the reigning World Champion Kansas City Royals. 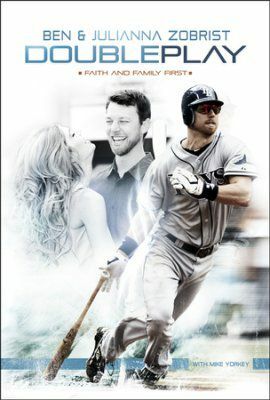 In Double Play, Ben and his wife Juliana give fans a first look into the heart of an athlete whose talent and devotion to God, family, and baseball make him one of the most lovable figures in the Major Leagues today.